An email attachment is a file that is sent along with an email message. Email attachment is typically used as a simple method to share documents and images. 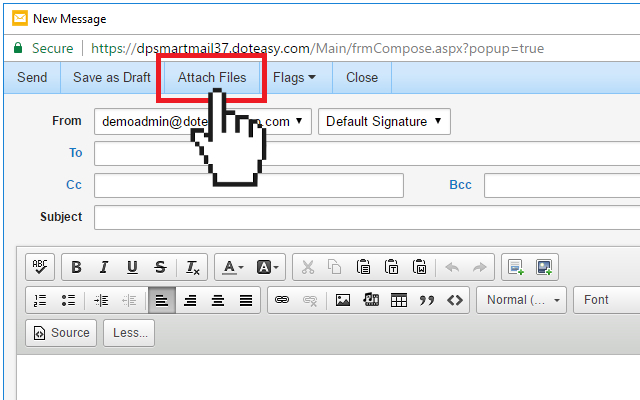 This article will explain how to send email attachments in SmarterMail. On the New Message window, click Attach Files. Contact us to migrate your email services to the cPanel platform. 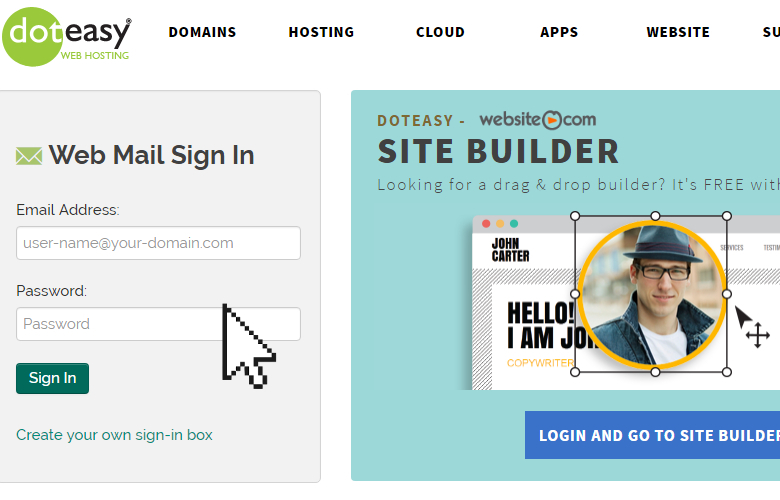 Email accounts on the cPanel platform are allowed up to 20MB in email size. Please note that this request requires a server migration and you will need to backup your emails before proceeding. We recommend using an email client to backup your emails on to your computer. Order the optional Doteasy Email Protection service. While the Email Protection service is primarily an email spam and virus protection service, it comes with an additional 10MB email size limit increase as well as a free 2GB combined domain email storage upgrade. You can order this service from your Doteasy Member Zone. 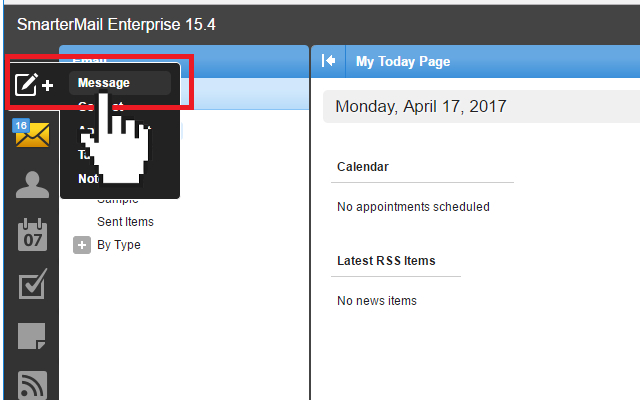 Order the optional Doteasy MailPro Service. This service increases your maximum per message size to 20MB as well as gives you an additional 2GB combined domain email storage upgrade. You can order this service from your Doteasy Member Zone.